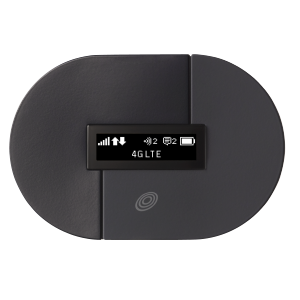 This Hotspot will allow you to access the 4G LTE network for fast uploads and downloads. Connect up to eight Wi-Fi capable devices to the Internet at once - laptops, tablets, eReaders and more - and experience the faster speeds of solid 4G LTE. This hotspot, coupled with the Data Club plan, is an excellent way to access the Internet from your home or office when your wired broadband connection is down. Only one phone can be enrolled in a Clearway plan at a time. If you wish to add a new phone to your current plan, you can only purchase one at this time. NOTE: Your old phone will be deactivated upon activation of your new phone. Enroll in Auto Data Refill ..! Your existing plan is not compatible with the phone displayed. Options available include switching plans or selecting a phone that is compatible. This plan provides you 1.0 GB of High-Speed Data and Business Email. Check if the you've selected is available in your area now. NOTE: If you are purchasing a for someone else, please enter the ZIP Code where the phone will be primarily used. © 2019 TracFone Wireless, Inc. All Rights Reserved. Clearway is a trademark of TracFone Wireless, Inc.
*At 2G speeds, the functionality of some data applications such as business email and streaming video or audio may be affected. Please refer always to the latest Terms and Conditions of Service at www.clearway.com. When you purchase, activate, or use a Clearway product or wireless service, you agree to comply with the latest Terms and Conditions of Service, which are subject to change from time to time without notice. Clearway reserves the right to terminate your service for unauthorized or abnormal use.